One of the things I love about Puerto Rico is that there are secret treasures all over the island. You can literally pull over on the side of the road, walk a few feet, and find yourself in a tropical oasis. That’s exactly what happened when we were visiting Aguadilla. We heard about an old lighthouse ruins called Punta Borinquen that was hidden behind a golf course somewhere, so we decided to put our explorer hats on and go in search of it. Now I will say, it’s definitely off-the-beaten path. And you will have to travel through a terribly deteriorated dirt road to get there. So, (A) I suggest you take an SUV or truck. And (B) don’t go at night because you will be completely isolated. The views however, are simply breathtaking. The next day was our beach day. 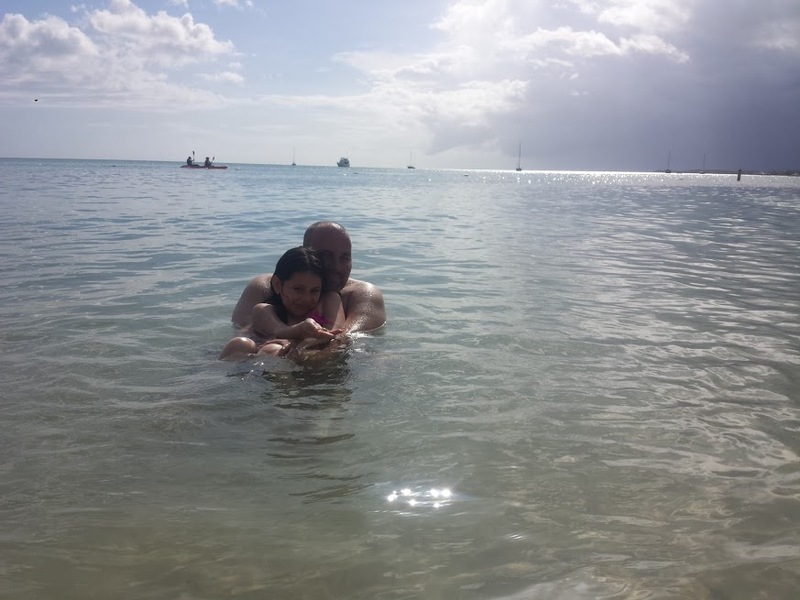 During our previous trip to Puerto Rico we explored the beaches on the east side of the island, so this time we decided to try the west. 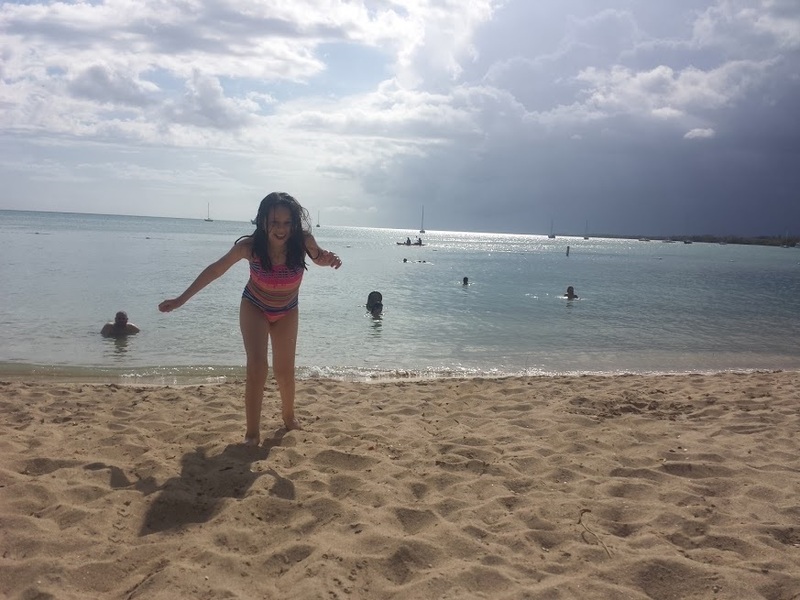 We did a little research for a good family-friendly beach, because as you will quickly discover - not all beaches are made for swimming. Some of the most beautiful beaches on the island are very choppy which make great surfing destinations, but are not so great for swimming. 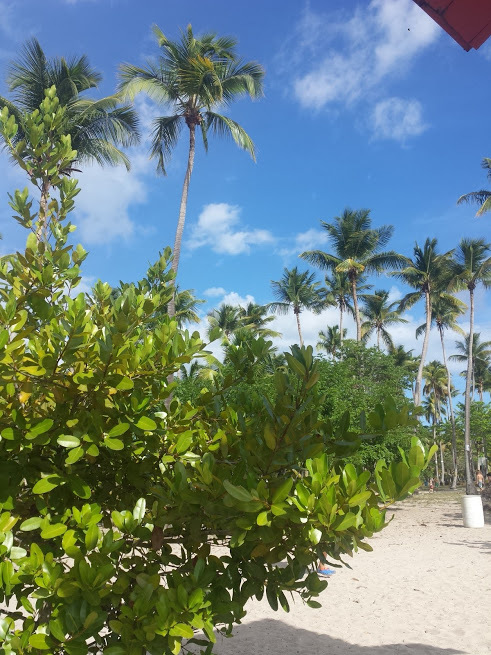 We settled on Boqueron Beach which is a public beach managed by the Puerto Rican government. It’s a blue flag beach which means water-quality testing and conservation are routinely done there. 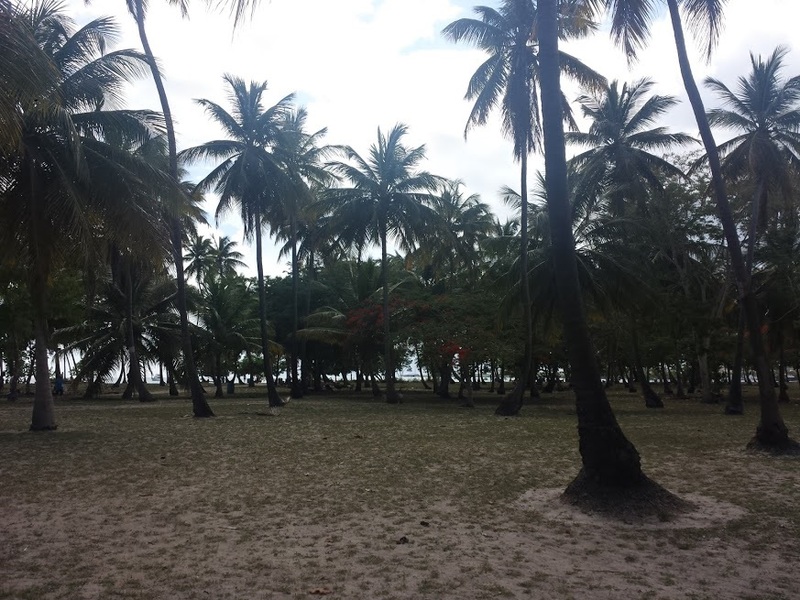 What I really liked about the beach is that that you have to walk through a forest of palm trees to get there. (So cool!) The water is warm and calm, although we were surprised that the bottom of the water was a bit rocky. I definitely didn’t like that. 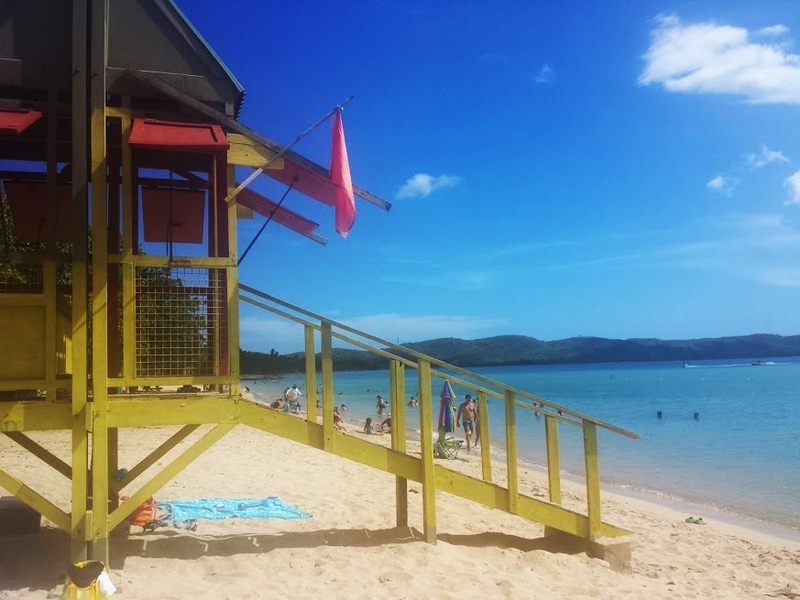 My favorite beach so far, continues to be Luquillo Beach on the east side. We stayed in Boqueron just before sundown, and decided to also take advantage of Los Morillos lighthouse that was a few miles down. (I told you, we’re lighthouse freaks.) Unfortunately, when we got there the lighthouse was already closed. But to our surprise the lighthouse isn’t the biggest attraction. THE CLIFFS!! OH. MY. WORD. The cliffs and the views are out of this world!! We stayed here long enough to catch the last bit of sunlight which made this sunset particularly special for us. Once it started getting a little too dark we decided to hightail it out of there because there are no guard rails so you have to be extra careful walking around. Amazing pics! Hope you are enjoying your summer so far!! Wow, what a beautiful country! You trip sounds amazing... I hope to visit someday!